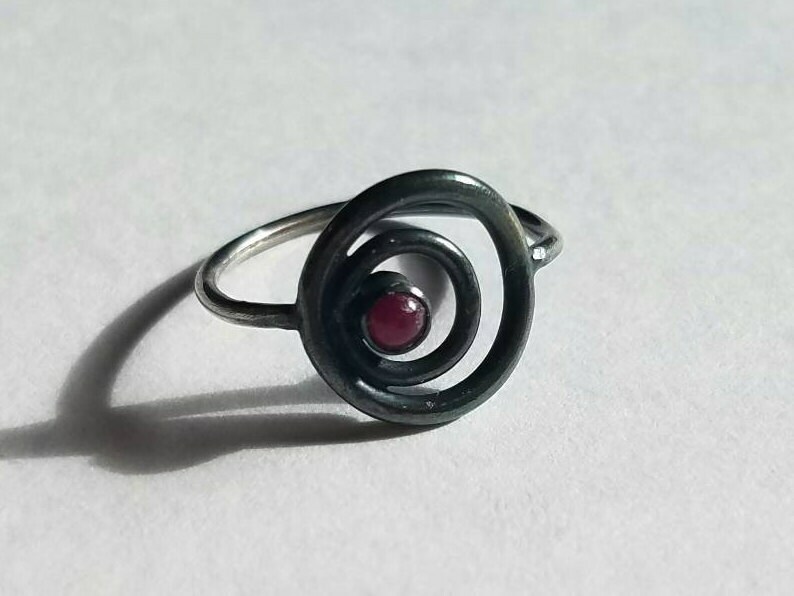 Inspired by celestial bodies orbiting a star, I forged this ring out of sterling silver. 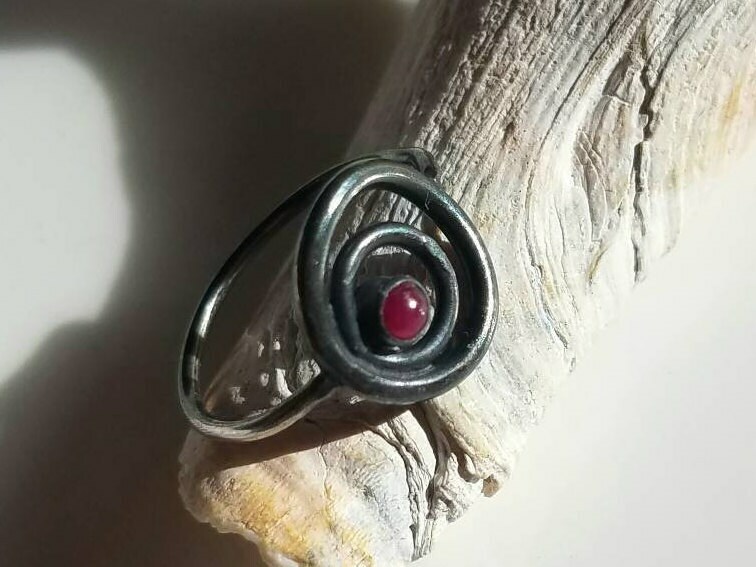 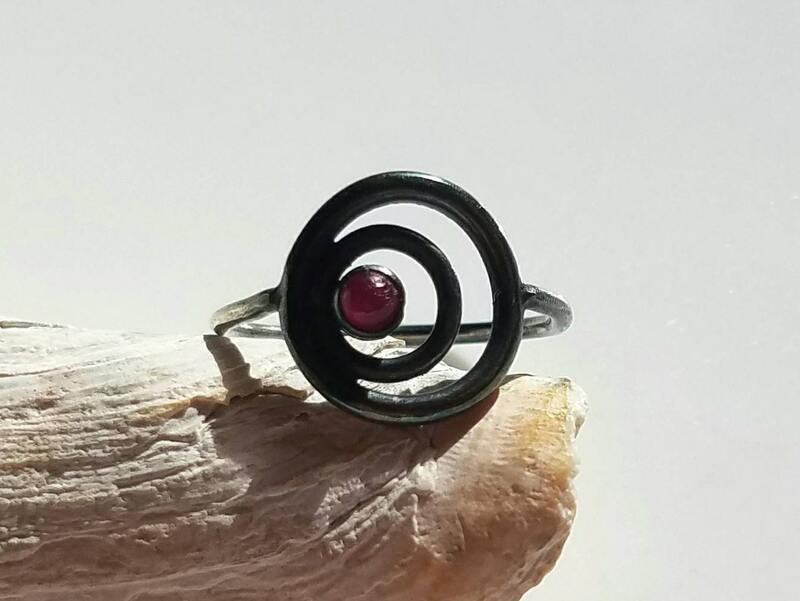 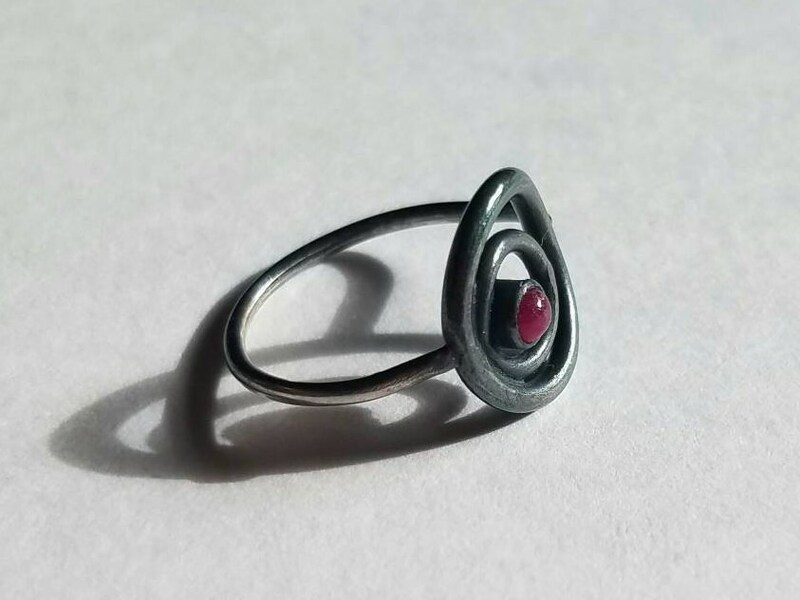 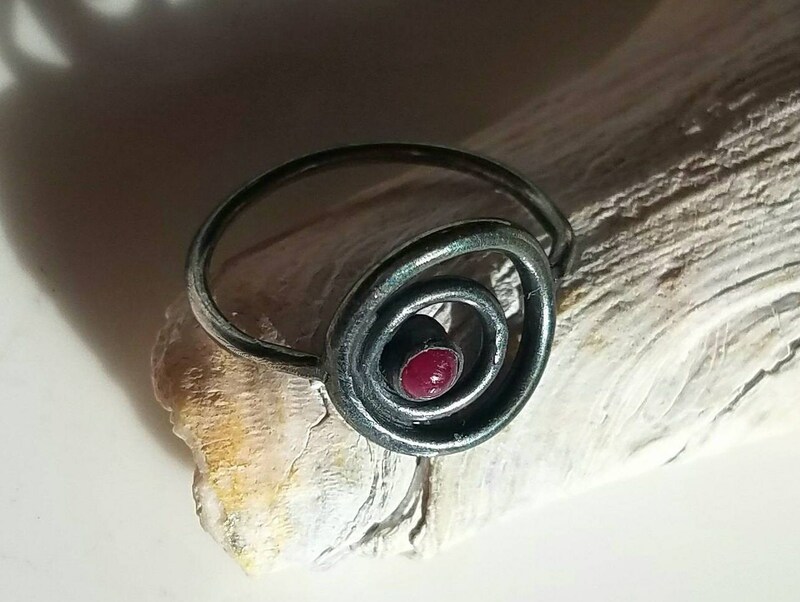 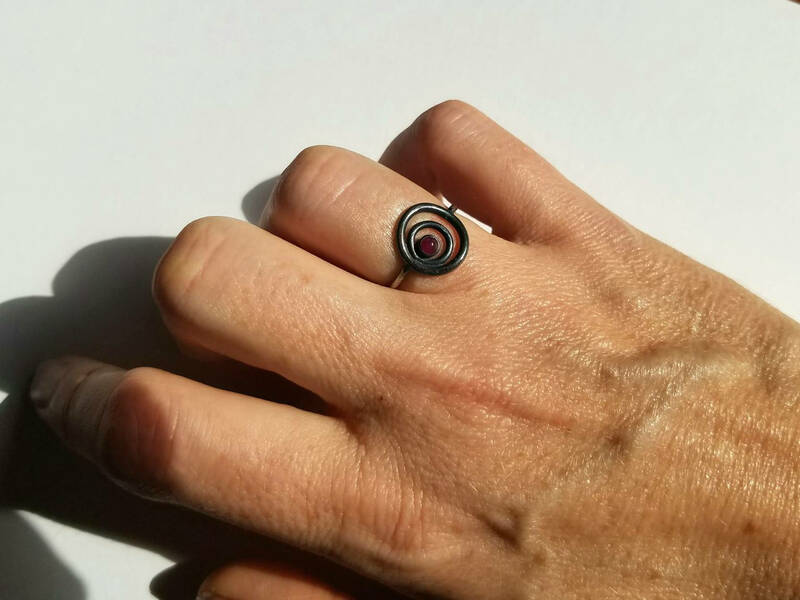 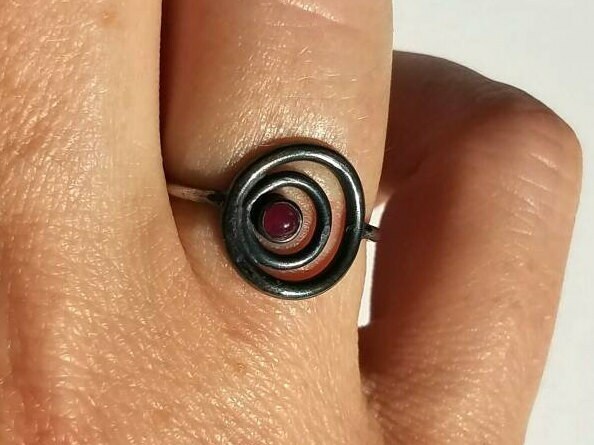 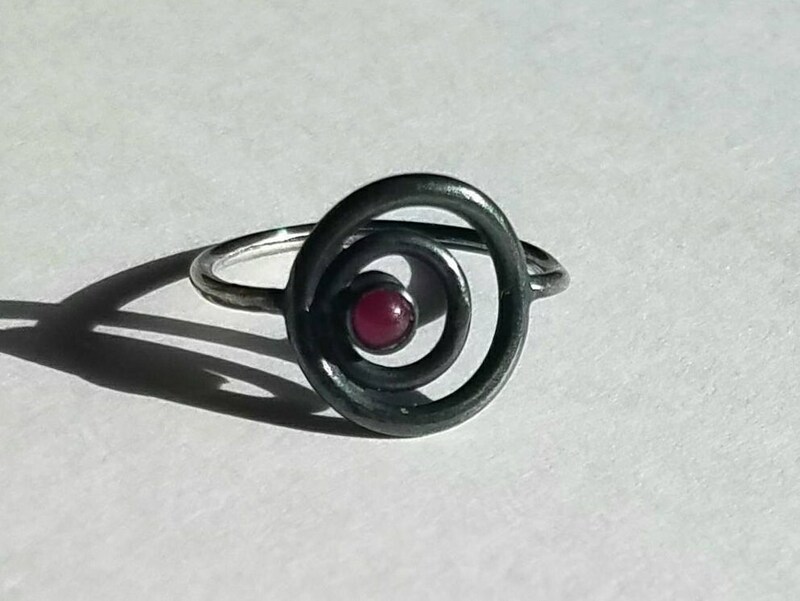 Inside the orbits sits a 3mm ruby cabochon with its deep red hue contrasting the darkness of the oxidized silver. 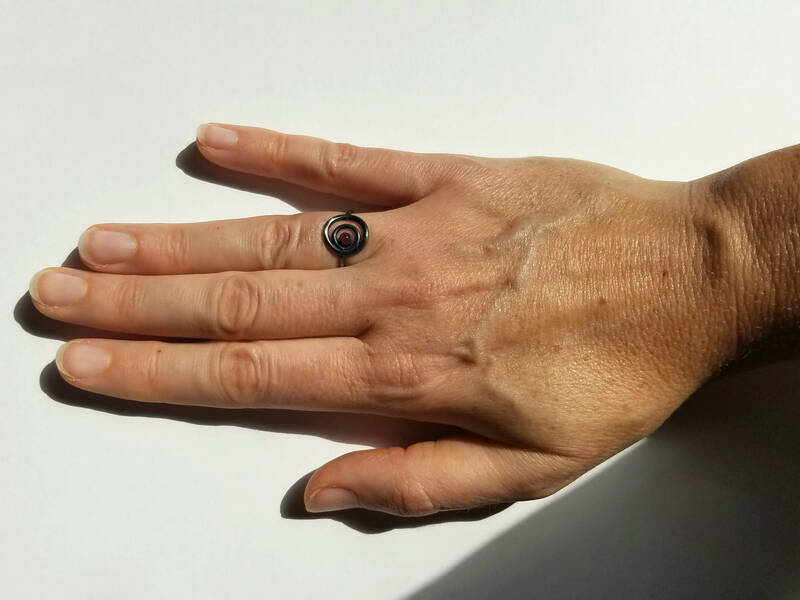 The orbits measure approximately 13mm in diameter, the band is 1.3mm thick, the ring is size 6.5.